My tutoring is different from school in several ways. I customize each session to the student and what they enjoy. The components that are in the sessions are based on the student’s needs. When a student works with me, they will be getting a multisensory experience. My tutoring almost always involves movement. I travel to clients homes, or meet them in public spaces such as parks or libraries. Students learn better outside (when they are not distracted) and my tutoring is frequently boisterous. Librarians hate it when I tutor in their library. I tutor all subjects through 9th grade – math is not grade dependent. I won’t tutor subjects in which I don’t believe I am competent. If I can’t explain something simply, I won’t tutor it. Also, if I identify a learning disability that I am not trained to work with, I will refer the family to their physician and another tutor. A lot of my parents just want me to “help with homework.” This is the wrong mindset. My job is to reteach what the student didn’t understand the first time the content was presented to them. Students need to understand the concepts. I hope to expand to include home schooled students. My son, at home, is 16 and doesn’t need me to be home all of the time. My goal is to tutor more during the day and not as much in the evening. Kirk was always patient and passionate about helping us negotiate favorable terms for our son's settlement against the school system. He always returned calls, texts, and emails, immediately. We know if we did not have his voice in our negotiations, it would have been a long and very expensive legal battle, between ourselves and the school system. 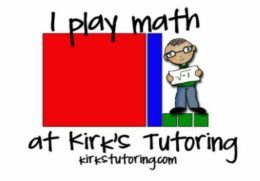 What sets Kirk’s Tutoring apart?